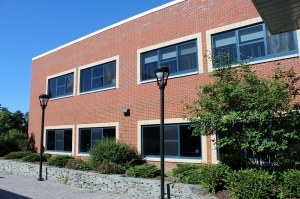 Our team of estimators, project managers, designers, supervisors, and installers have extensive experience with commercial window systems, and we work with architects, building owners, and contractors to make sure each project has the right window products, installed correctly and on time. While we have full service locations in Rochester and Syracuse, we are able to serve many different geographic markets such as Watertown, Utica/Rome, Buffalo, Ithaca, Binghamton - anywhere in Central and Western New York. Service includes commercial glass installation as well as commercial glass replacement, window replacement, and window repair. Our extensive experience in the commercial markets enables us to determine the best product options and develop the most advantageous installation methods to keep costs in check while getting solid performance and value. Let the team at Flower City Glass help out with your commercial window project and you will not be disappointed.